Be a part of the War of 1812 (OK, 1813) Bicentennial along the St. Lawrence River next year on January 20. Unveiling regional events, marketing plans and suggestions for individuals, groups and businesses looking to be a part of this major tourism initiative for 2013. A once in a lifetime opportunity for regional tourism along the St. Lawrence. While the War of 1812 Bicentennial has raged for nearly a year, the biggest events to hit the St. Lawrence are just coming up. Yet what makes next year a once in a lifetime opportunity for regional tourism is a month of unique historical experiences that could draw unprecedented numbers of cultural tourists. 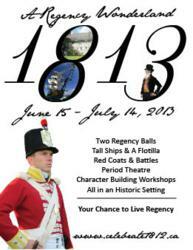 From the first port of call for the pan-provincial TALL SHIPS™ 1812 Tour in Brockville on June 14 to the re-enactment of a battle that saved Canada on July 14, the St. Lawrence region will host a month of exiting heritage programming. 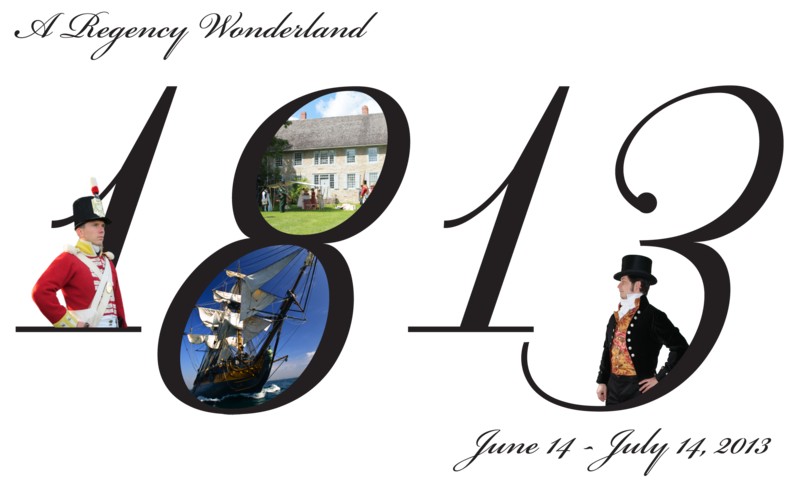 With two Regency balls, tall ships and a flotilla, Red Coats and battles, period theatre, and character building workshops--all in a picturesque historical setting, history will truly come alive along the St. Lawrence this summer. It is a Regency Wonderland. The St. Lawrence War of 1812 Bicentennial Alliance invites all interested parties to attend a special information session at the Red George Pub in Prescott on Sunday, January 20th. Upcoming events will be unveiled, as well as joint marketing plans and suggestions for individuals, groups and businesses alike, looking to be a part of this major tourism initiative for 2013. The presentation is part of a regular 1812 Dinner Series, featuring fine period cooking. Come for dinner or a drink, but be sure to reserve space in advance - as there are only 30 spaces available. Dinner begins at 5:30. The presentation will start at 7:00. Call the Red George at +1.613.925.8800 to save a place.